When a couple books us to photograph their wedding, it is usually because they like the idea of photographers who work in a more natural or documentary style keeping overly posed traditional wedding photographs to the absolute minimum. That however doesn’t mean that we won’t set up a few group photos of you and your family though. A wedding is a family event and it is probably going to be one of the rare times that you have all of your extended family with you and as your family will be a huge part of your wedding day it’s important that they are documented too. Group photos at weddings can be stressful for couples on the day, as they worry about making sure that everyone gets photographed, then there is the actual organising of the groups and trying to persuade the people that don’t like having their photograph taken to participate. 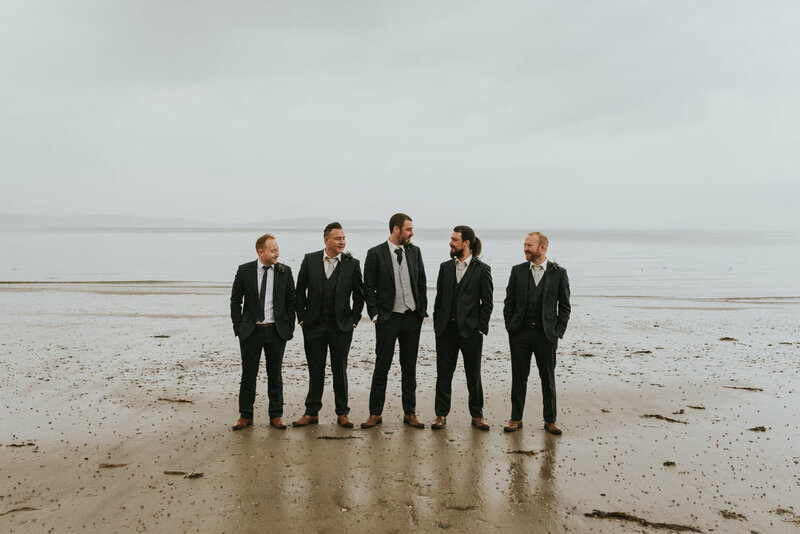 Every wedding photographer in Northern Ireland will have their own preferred way of shooting group photos at weddings and we have ours based on what works best for us. We always advise couples to keep group shots to a minimum, under 10 is best. Any more than that and you can run into issues with your wedding timeline. If you think you will need more than that, have a think about having bigger groups rather than more. Think about the photos that you really want and the amount of time needed for each one. The most important photographs for most couples are usually parents, grandparents, siblings, the bridal party, and extended family like uncles and aunts and then maybe a quick photo with all of your besties. Time on every wedding day is a precious commodity and group photos are one of the parts of the day than can easily run over the allotted amount of time if not managed carefully. As a rough recommendation groups of under 6 people will generally take 4-5 minutes, larger groups will take a few minutes more. If you decide to have a large group shot with all of your guests these can take about 10-15 minutes and that doesn’t include the time needed to round up your guests. Many couples don’t understand that to create a great photograph we need good light. It’s always better to let us choose which area to use for group photographs. We will choose based on which area has the best light at the location, to try and provide you with the best possible photographs on the day. Experience has taught us that while wedding magazines and wedding blogs will always recommend using a list of must have photographs to be as organised as possible, that this in the real world generally does not work well. They usually tell couples to prepare the list then hand to their photographer to sort out. This never works, people will wander off and can’t be found and the process takes much longer than needed, even when we have help from the bridal party to track people down. We have found that for us the best thing to do first, is to have our couples use members of the bridal party to gather everyone together in one large group. This works much better than us to trying to track each grouping down. 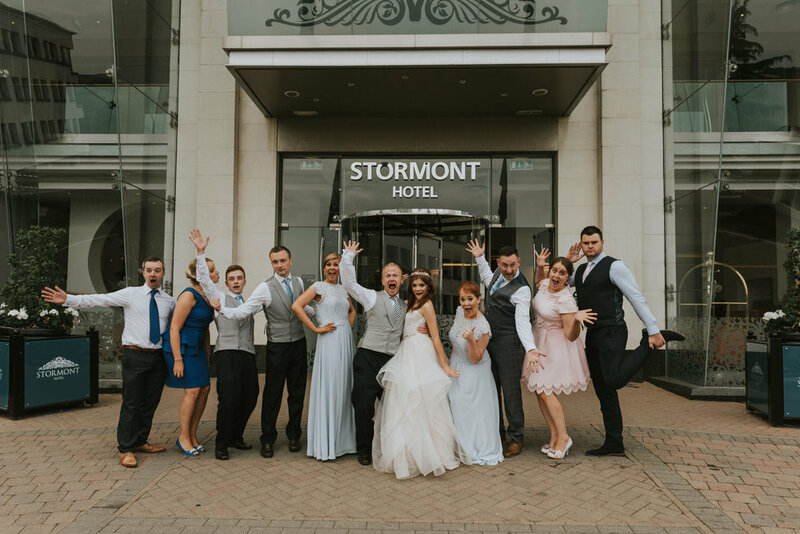 Once everyone who needs to be photographed is together, we ask the bride and groom to shout out the names of the people they want included and we then quickly organise them and take the photos. This is the quickest way we have found to shoot group photos at weddings. Usually the quicker we can get through this part of the day the happier our couples and their guests are. 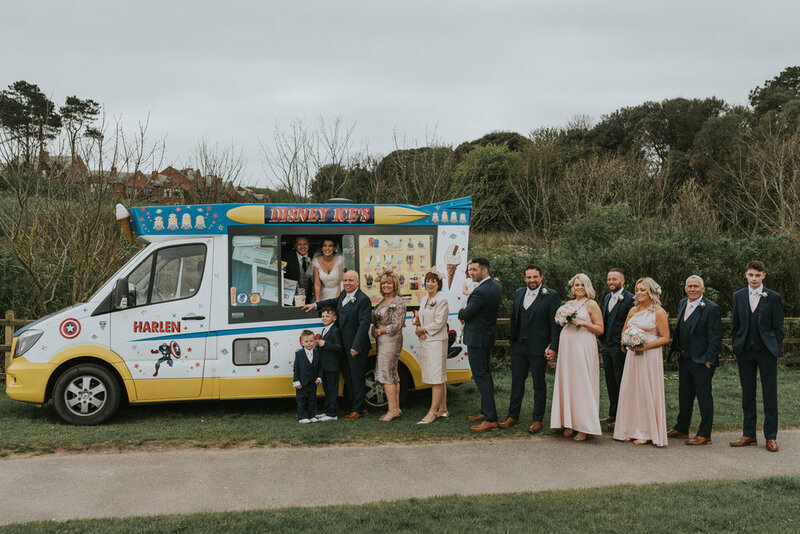 For us as photographers it’s important that our group photos still fit in with our style so instead of just every photo being a line-up of people, we like to mix it up a bit which also helps make this part of the day a little more fun for everyone involved. Don’t worry though, we won’t ask to do any really old school group photos of people jumping up in the air!